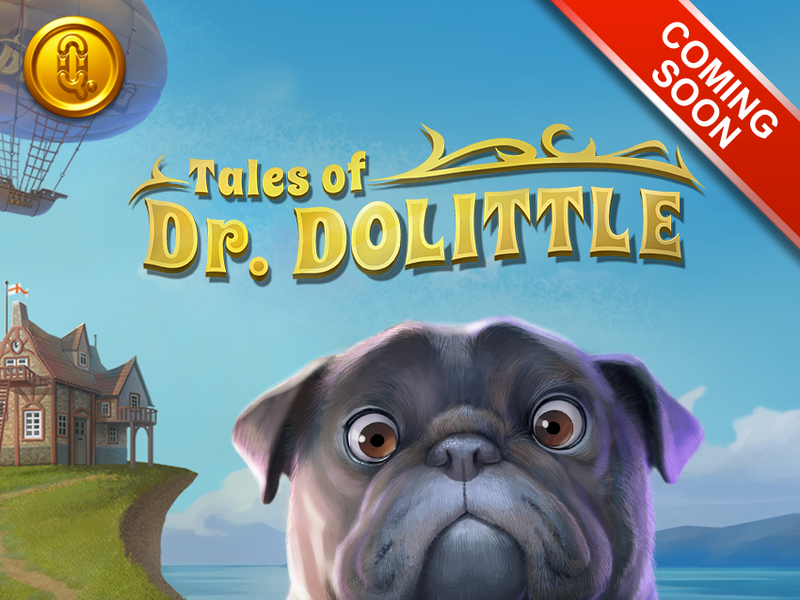 Tales of Dr. Dolittle combines one of the most beloved characters of all time with fun features, beautiful design, and modern game mechanics! Based on the series of classic novels from 1920, this slot pays homage to the world’s most famous animal whisper. In this animal adventure, you get to hang out with the famous Dr. Dolittle and all his pets – a dog, a horse, and a parrot! 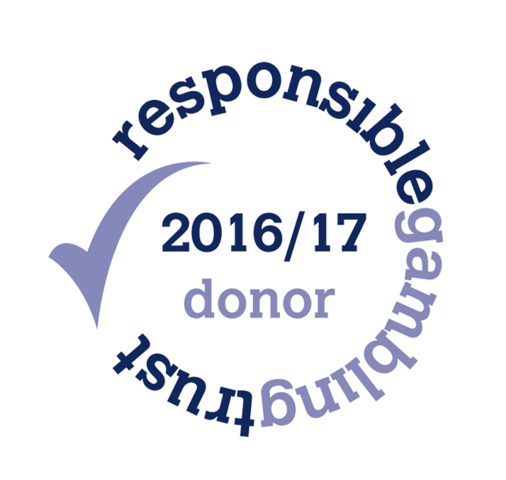 This slot expands our portfolio of character games, which already includes popular games like Big Bad Wolf and Goldilocks. We’ve taken some of our proven game mechanics to make a fun-filled and exciting 5×3 reel slot with 25 active lines and features like Free Spins, Respins, and Multiplier Wilds! Any winning combination triggers the respin feature, where all winning symbols will lock in their place, and the rest of the symbols will respin. You can always see how many Free Spin symbols you’ve collected in the Bonus meter, and each spin in the Free Spins Bonus game comes with one guaranteed Multiplier Wild symbol! 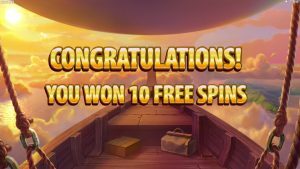 And don’t miss the transition into the Free Spins Bonus game, where a Zeppelin takes you on a beautiful ride above the clouds – this sequence is absolutely gorgeous! This is what Rikard Hilding, Art Director, said about working on the game: “It was really fun to make ‘Tales of Dr. Dolittle’, as it’s a really entertaining and playful video slot! When I started working on it, I gathered inspiration from the old musical film about Doctor Dolittle that I used to watch as a kid. To give it a twist, I borrowed a bit of surrealism from ‘Charlie and the Chocolate Factory’, which fits the theme perfectly. 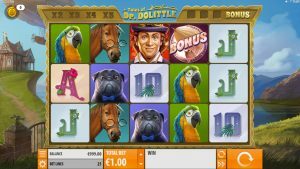 Tales of Dr. Dolittle will be available in all markets where Quickspin is currently present, including the Swedish market. This slot is targeted towards adults and all the marketing material has been approved. Because we believe so much in this game, we’ve chosen to release it on the 25th of April when it’s pay day in the Nordic countries. We love this game and think it’s going to be a big hit!